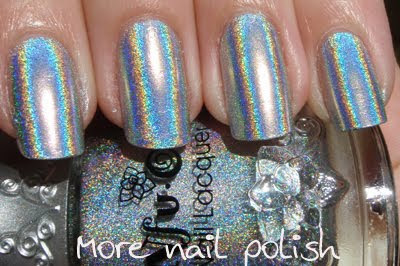 I’m thinking of placing an order for some Nfu Oh polishes from fabuloustreet in the US, using hopshopgo. For those that don't know, hopshopgo gives you a US address that you can ship the items to, then they post them on to you in Australia. It gets around the whole "you have to purchase from the authorised reseller in your country" business and means we can get things from companies that wont ship internationally. My husband and I have ordered Nike IDs, My M&Ms and a whole stack of other things and the service works perfectly. The cost of the polishes is $12.50 on fabuloustreet, but taking into account the hopshopgo service charge and shipping to Australia, it would cost about $16.50 per bottle. 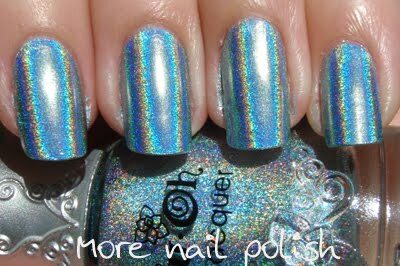 Is anyone else interested in me ordering some Nfu Oh (holos or flakies) for them?? If so, check our fabuloustreet and send me an email. You would also need to pay for postage from my place in Canberra to you. Just to whet your appetite, here are some of my Nfu Oh swatches. I just ordered a few the other day. That really stinks that it's so hard for those outside of the US however. How kind of you to assist! These look fabulous! I'm surprised Fabuloustreet doesn't ship to Australia! I've bought flakies and holo's for around $6 from her previously. Thanks FromTwinings - I saw the add on their site for polishes but the site is so crap cause you can't see anything online. I've sent an email to see what they have available. I wonder if this means they wont be selling them anymore?? Alex has had a number of sales of the last year. I *think* they are overstock sales. Thanks FromTwinings - Alex has emailed me the listing of $2 polishes. For any other Aussies reading, Alex replied really quickly to my request. You can email her to see what they still have at alex@vividnails.com.au. 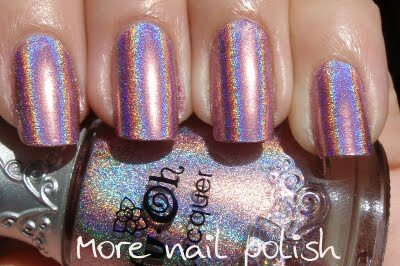 Note: There are no holos or flakes on the list, but I have still found 10 polishes worth buying - especially for $2. She told me they are only going to keep the popular colours in stock and order others as requested, thats why they are selling for $2. I'm waiting to hear back as to what their regular price will be for holos and flakies. Oooh, how I wish there was a service like this for Australian brands to ship to the US! I could kill for some Art Forms or Ozotics. Nfu Oh ships from within my state and I get them within the week of ordering. I didn't realize they were so hard to get outside of the US. If only polish could be shipped everywhere! I would be interested. I've tried emailing Alex but had no answers. I'm suprised that Alex didn't write back. She emailed me three times and even called twice to confirm what I wanted?. 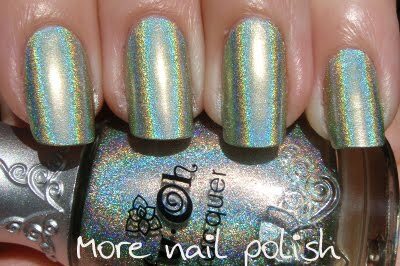 She said the order would arrive in 2-4 weeks, and would mainly be flakies and holos, so if you want something else they would need to order it. You can try calling them, they are in Melbourne (03) 9338 1444. I can't wait, I'm finally getting #51!!! 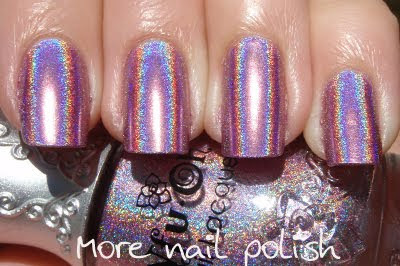 I've contacted Alex, and I'm not sure which holo I want. Which is most recommended? Im stuck between 61,65,66.
i want this! 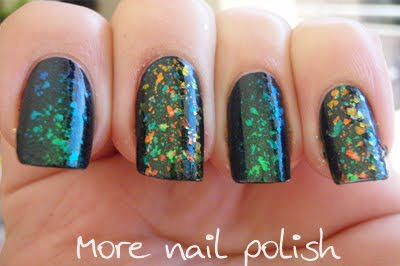 i need this polish! I only just found your blog tonight and I never knew you could do this whole getting around the "US buyers only" thing this way! I got my Nail Technology certificate through Vivid Nails a little over a year ago and I really don't want to give them anymore money as I feel that their training wasn't up to scratch and was extremely lacking in detail. Will you still offer this help to people in Aus who want to buy Nfu.Oh in the future?